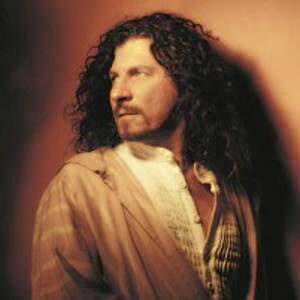 After coming to California from outside of Chicago at age 10, David Arkenstone immersed himself in all the music he could find. Spending high school and college in various bands and performance groups, he then criss-crossed the country several times playing popular music. He finally settled down to concentrate on developing his own sound, and when computers and instruments could finally communicate to each other, David knew his time had come. He could now hear a good portion of what he could imagine. "Technology has produced some wonderful tools for making music. The computer allows me to fully orchestrate my pieces and really fine tune them," said David. David's music has recently been described as Cinematic new age rock. "It is sometimes difficult to categorize my music and this is a term I can live with," David responded. "I enjoy bringing many different influences together in my music," he continues. World music, classical rock, and new age are some of the styles I draw from and enjoy weaving into an entertaining and adventurous whole. "I have always loved the sound of the orchestra. Now I believe I have refined a wonderful blend combining the best elements of the acoustic world, with the electronic world." When not chained to his Apple Macintosh composing, David likes to play baseball, create 3-D art projects, and write screenplays.